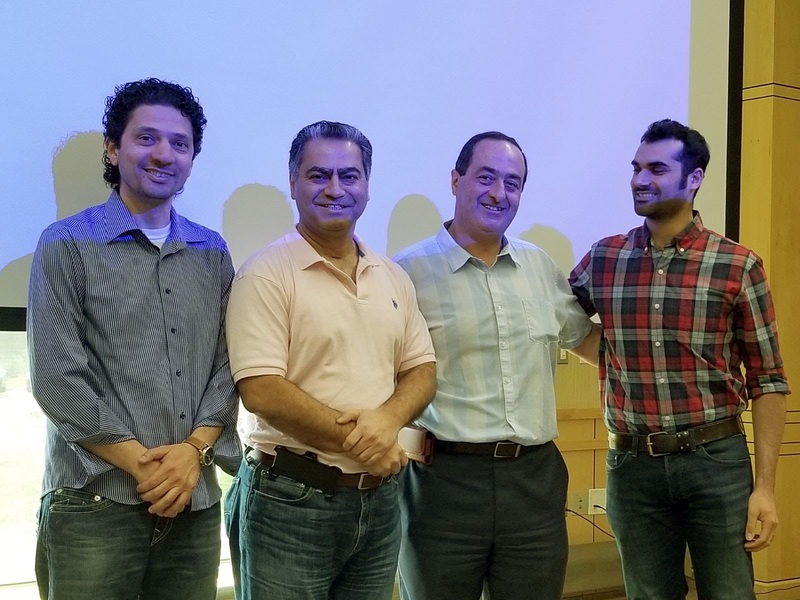 Dr. Rabih Najib and Mr. Sameh Jallad presented on "Email and Password Security - You are the last defender" during our April Learn & Network event. The first part of the presentation focused on password security and how to create a memorable strong password and how to keep your passwords safe. The second part of the presentation focused on email security explaining how to be an email detective where you can tell whether an email is safe or not and on the different methods to verify links in email messages before clicking on them. After the presentation, Mamdouh Elsakka briefed everyone on where we stand on the different activities that are planned for this year including the 10-year anniversary celebration coming up on April 27 and the by-laws meeting scheduled for April 28. A very busy month of April. Asma Soliman, the chair of the Social Activities Committee, also talked about our annual picnic for this year where it will be in September in Virginia. Eissa Haj-Hamad, our Treasurer, provided an update on the financial of the organization. Walid Halboni, our Public Relation Officer, talked about his communication with NAAP and the possibility of doing a joint event with them. Thanks to all of our members for their continuing support and for attending our activities.